Ana’s life changed dramatically when she accepted a position at an exclusive boarding school in New Mexico. She found three great new friends—Shani, Doli, and Lin—and together, they discovered that they each had the power to turn into a wildcat. Their new friendship and powers were put to the test in a battle against the god Anubis and his newly resurrected Brotherhood of Chaos. After defeating the Brotherhood, Ana learns that her aunt and uncle have gone missing. Her friends are ready to help her find them, but then Shani is accused of vandalizing school property and expelled. While Ana and the others head to Mexico to search for her family, Shani travels to Mumbai to stay with her father. But strange things are happening in the Indian city. Has she stumbled upon another sinister plot? 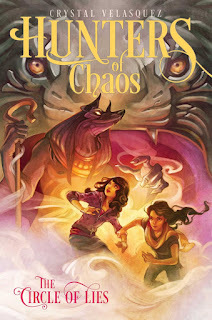 Meanwhile, Ana, Doli, and Lin have gone to Mexico to try and track down Ana’s family, and in the heart of Chichen Itxa, they find new dangers—and more proof of the Brotherhood’s growing power. With the four wildcats separated by thousands of miles, is this Anubis’s chance to rise again?